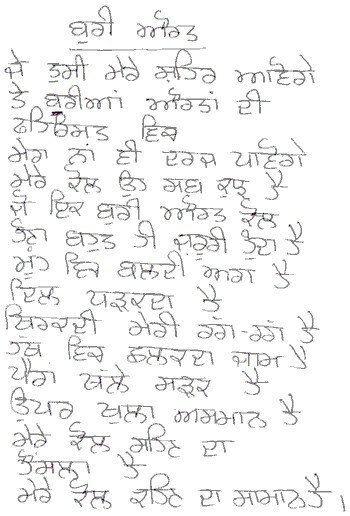 Source: Nirupama Dutt is well known Punjabi Poet and Journalist. The translation is also done by her. She has published one volume of poems – ਇੱਕ ਨਦੀ ਸਾਂਵਲੀ ਿਜਹੀ Ik Nadi Sanwali Jahi (A Stream Somewhat Dark) – for which she was awarded the Delhi Punjabi Akademi Award in 2000.She is part of many literary and women organizations in Delhi and Chandigarh.